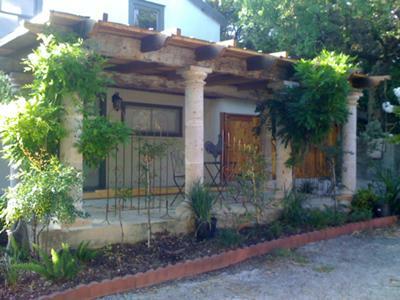 Q. I want to lay 24" x 16" x 1/2" Travertine Pavers on our 22' x 18' covered concrete patio that is against our house. The concrete is quite old, but is in good shape. However, when it rains, (sideways) it sometimes holds a little water in a couple of dips in the center, (by the house). I would like to add an overlay topper that would build up a little height along the house, and slope the concrete away from the house, where it would drain into the garden. My guess is that I need 1 1/2" for the low spots, down to nothing at the edges. I have a mason that was going to use straight concrete, but I am worried it might crumble under the travertine over time. What would be the best products and methods for this application? A. I use a lot of CTS Cement Products. 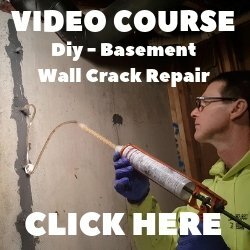 They have an overlay and patching material called SKIMCOAT that would be my choice for your situation. Read the surface preparation directions carefully, they are very important for a successful overlay application. These products set up or "dry" very fast. You may want to consider overlaying the patio in sections to make sure you get the correct pitch to the overlay. 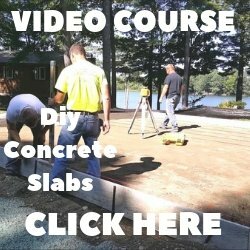 You should be able to purchase this product at a concrete supply store in your area.